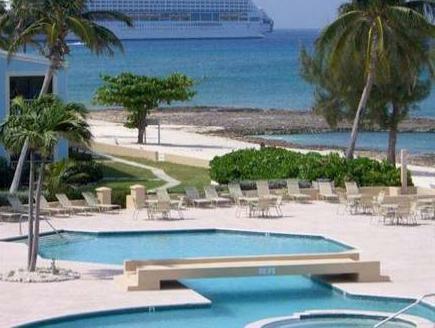 ﻿ Best Price on Grandview Condominiums in Grand Cayman + Reviews! On a private beach in Grand Cayman, this property is a 10 minute drive from Owen Roberts International Airport. The apartments provide full kitchens and a private screened porch. Charmingly furnished, each apartment at the Grandview Condominiums offers private bedrooms and a separate living area. They are decorated in soothing colors and offer cable TV with a DVD player. Each is air-conditioned and has free Wi-Fi. An outdoor pool with hot tub is available at the Condominiums Grandview. Guests can also play on the tennis courts or use the business center. The beach area features a natural lagoon and rock pools. Guests have free access to Kings Express Fitness, located 100 yards away. Kittiwake Shipwreck & Artificial Reef is 3.4 miles from the property. The Blue Tip Golf Course is 2 miles away. You must show a valid photo ID and credit card upon check-in. Please note that all special requests cannot be guaranteed and are subject to availability upon check-in. Additional charges may apply. The minimum check-in age is 18.